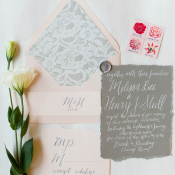 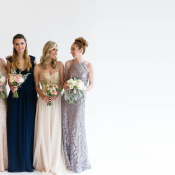 We’re so excited to introduce you to the fabulousness that is Brideside! 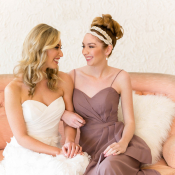 Haven’t heard of Brideside yet? 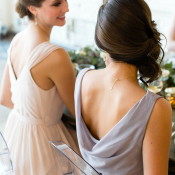 You’re in for a treat because Brideside is your very own personal assistant for wedding party attire. 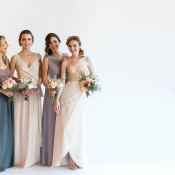 Their free personal style consultant will work with you and your maids to make bridesmaids dress shopping the easiest part of your wedding. 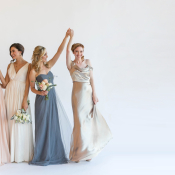 Sign up below to get started—these ladies will be your extra pair of hands, armed with tons of knowledge about the bridesmaid dress process! 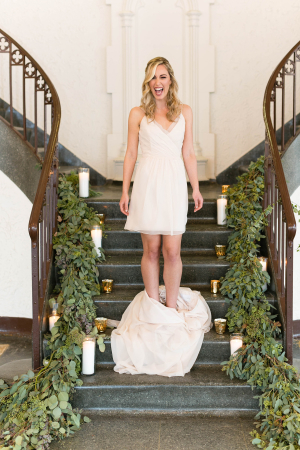 And even more fun? 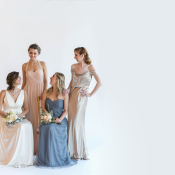 We’ve got the skinny on their brand new #AltarEgo line designed by Kelly Faetanini! 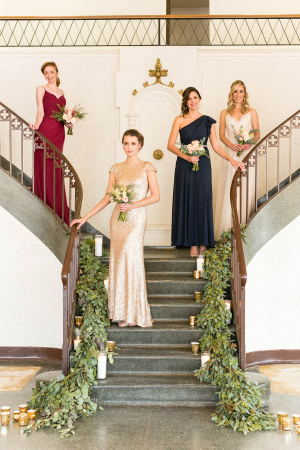 Pick a dress, add a skirt, and change your look in an instant with these chic dresses that go from flirty to formal in the blink of an eye. 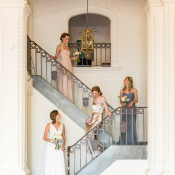 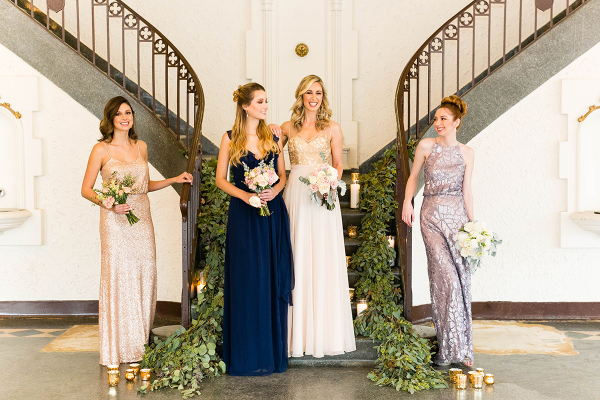 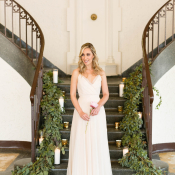 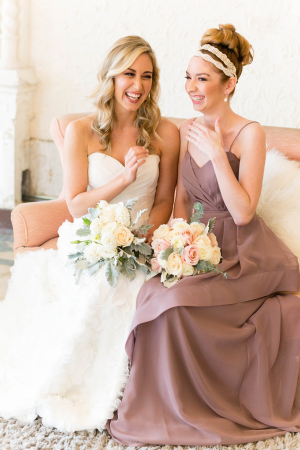 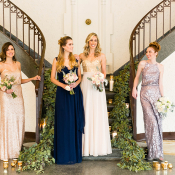 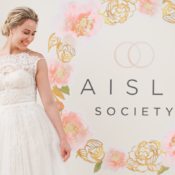 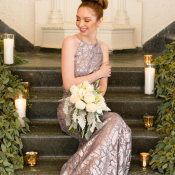 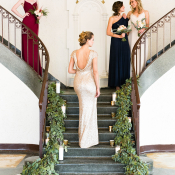 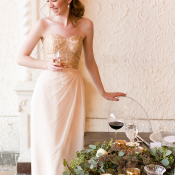 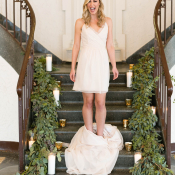 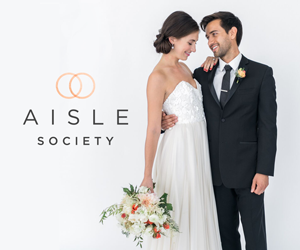 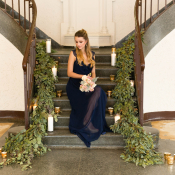 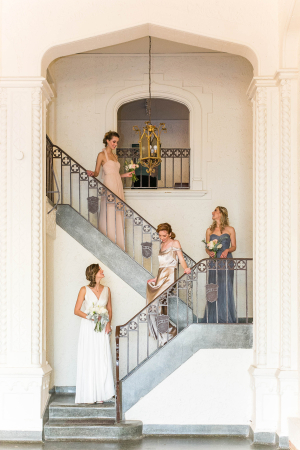 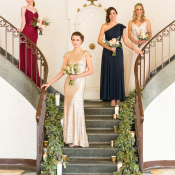 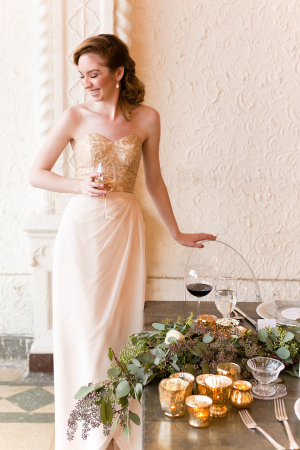 I was thrilled to work with Brideside and my fellow Aisle Society blogger Pretty Pear Bride to style a shoot featuring the #AltarEgo line and so many more of the gorgeous gowns from my favorite designers like Jenny Yoo, Joanna August, Sorella Vita, and Donna Morgan. 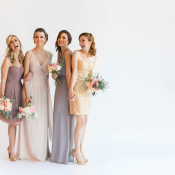 The always-amazing Emilia Jane Photography was there to capture all of the fun! 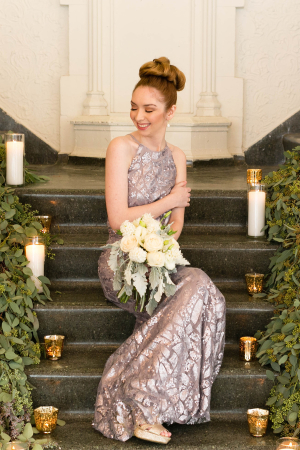 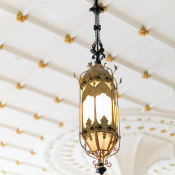 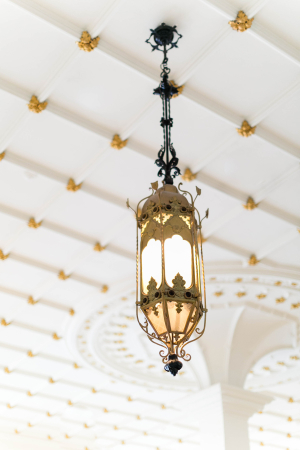 Chicago’s newest wedding venue, The Bank on Broadway, was the setting for our day of fashion with Brideside! 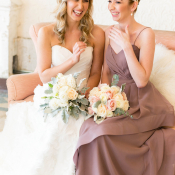 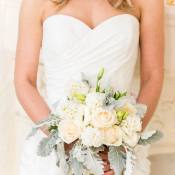 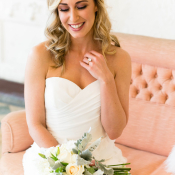 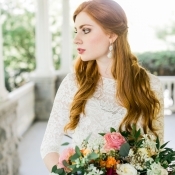 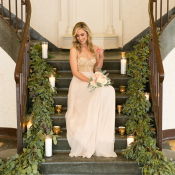 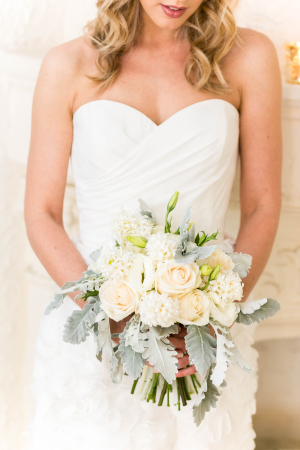 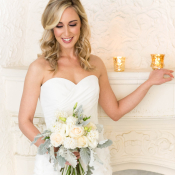 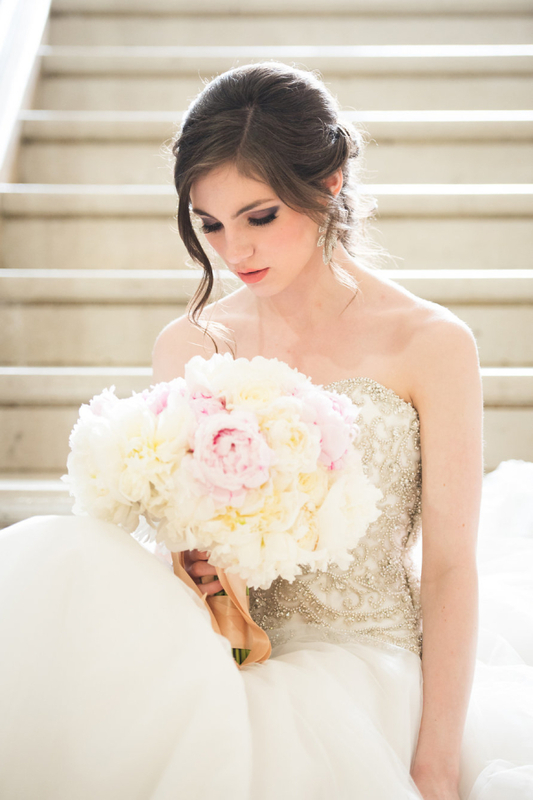 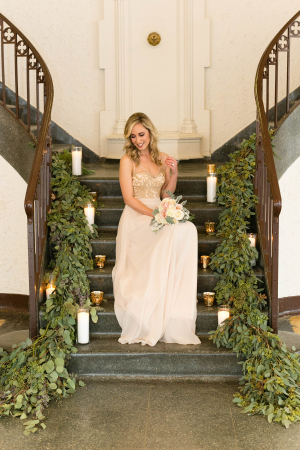 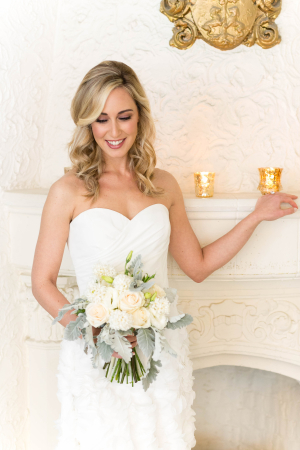 Kristina from Vision of Elegance Events created gorgeous bouquets, perfect for the soft and sparkly Brideside dresses and a fabulous bridal gown from Alyssa Kristin. 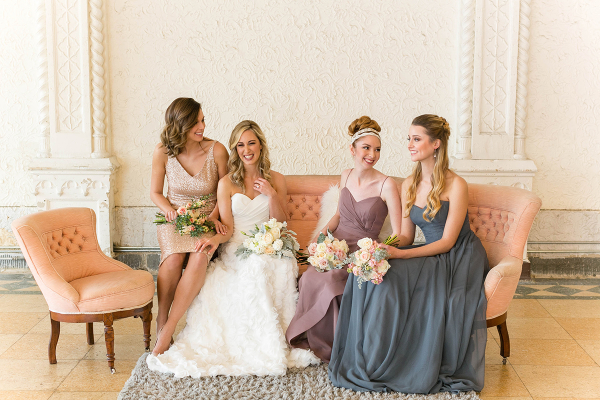 The ladies are all chic and stylish with beautiful hair and makeup from Hollibeauty and Joanna B. Artistry. 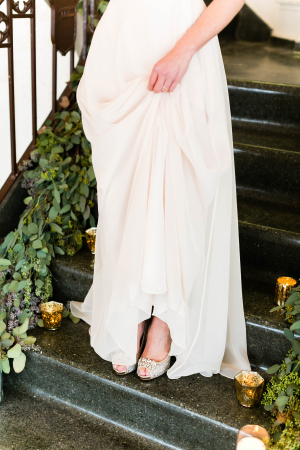 Brideside brought some amazing gowns to the set, each more perfect than the last. 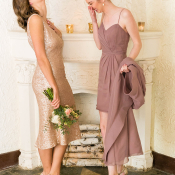 But my favorites were definitely the new Altar Ego gowns from Kelly Faetanini that pair long skirts with chic cocktail dresses, especially since you can mix-and-match colors! 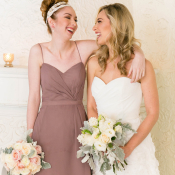 The mauve top and slate skirt combo had me at hello, and the floaty Kinzie/Chicago combination is to die for in ivory! 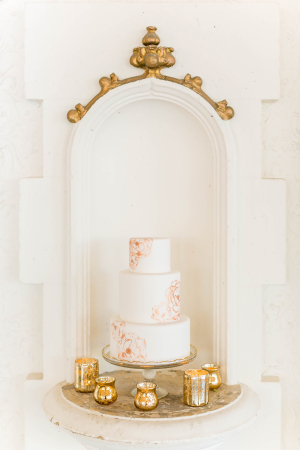 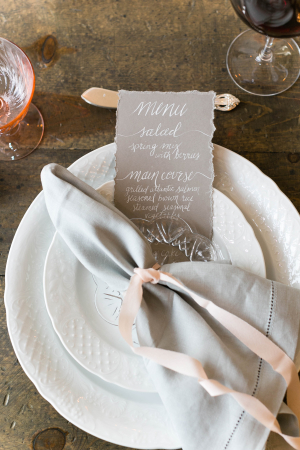 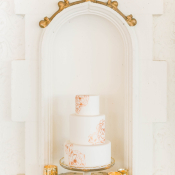 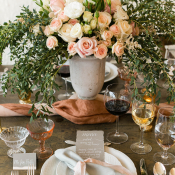 I’m still swooning over the stunning tabletop design by Vision of Elegance Events. 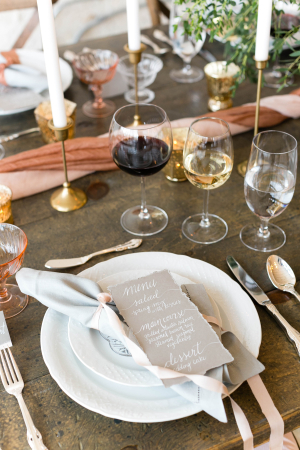 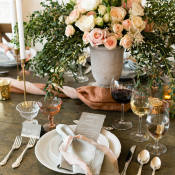 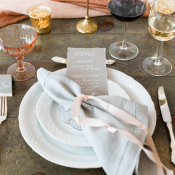 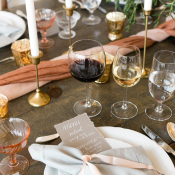 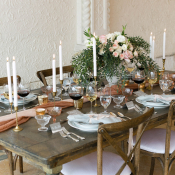 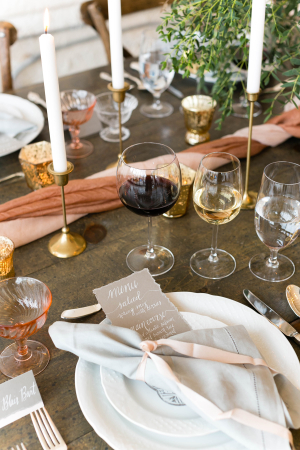 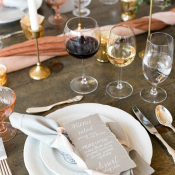 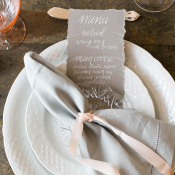 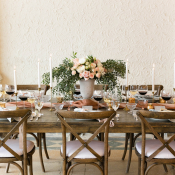 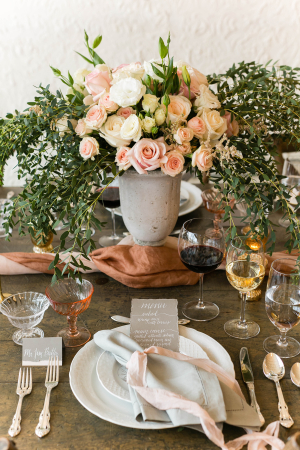 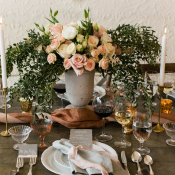 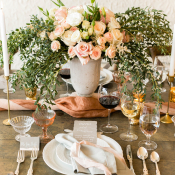 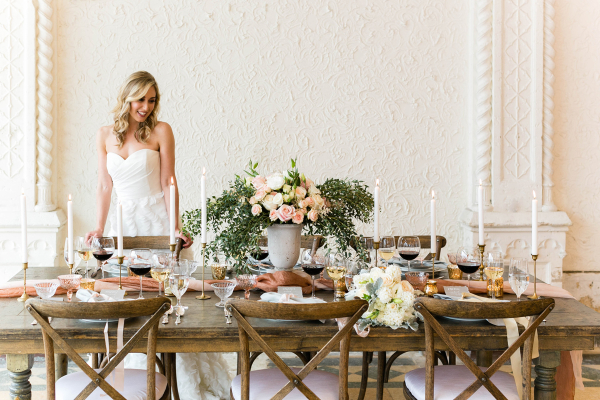 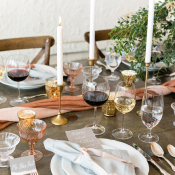 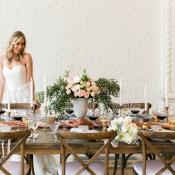 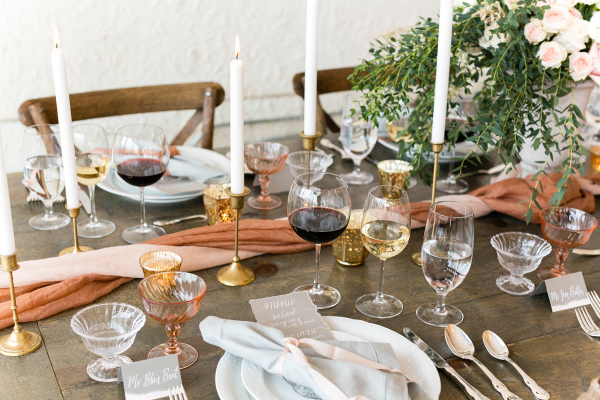 She paired the elegant farmhouse table, glassware, and tableware from Tablescapes with the most lovely centerpiece in shades of ivory and pink, a silk runner from Silk & Willow, and delicate vintage pieces from Nimblewell. 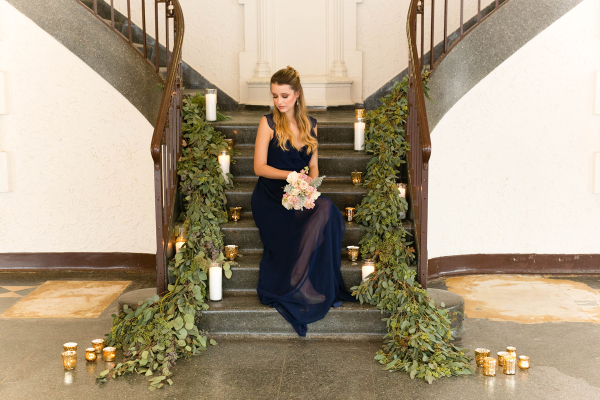 And check out the spectacular garland trailing down the dramatic staircase at The Bank on Broadway! 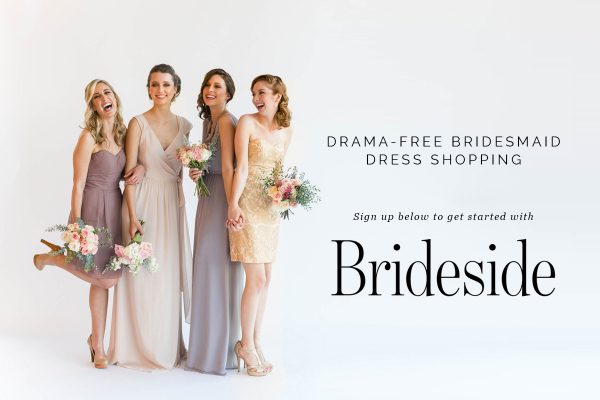 Sign up with Brideside above to meet your style consultant! 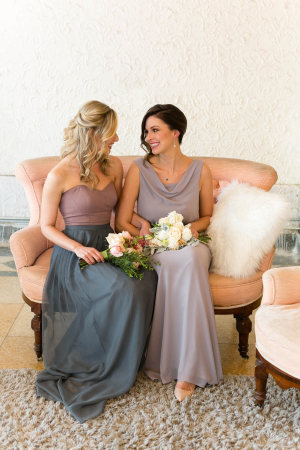 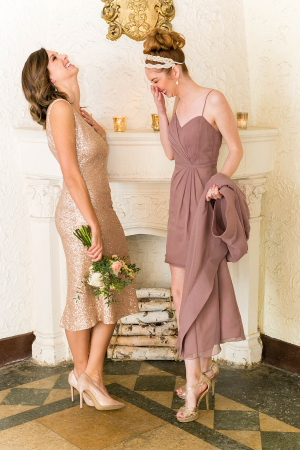 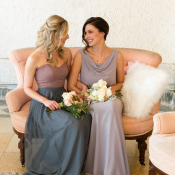 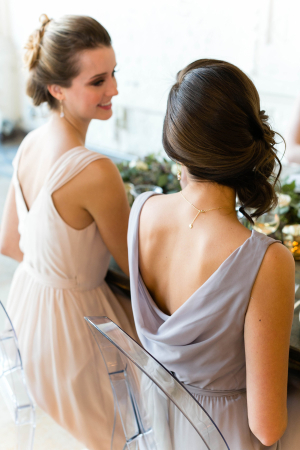 She’ll coordinate with your ladies and find the right fit for every bridesmaid.And with Brideside’s try-at-home program, three dresses (from their collection of over 1,000!) 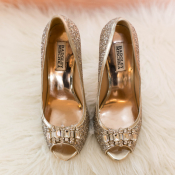 get delivered right to their doorstep. 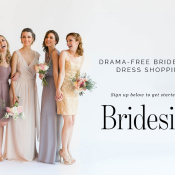 Absolutely drama-free bridesmaids dress shopping!